Here in Austin the cultural landscape is wide, and one piece of this cultural pie is situated within a few square miles of central Austin. Conveniently located on and around the University of Texas, Austin’s Cultural Campus contains six museums and one self-guided walking tour. From contemporary art to ancient fossils, these attractions will provide entertainment for any taste. Visitors at the Blanton Museum of Art. Courtesy of Amanda Elmore. 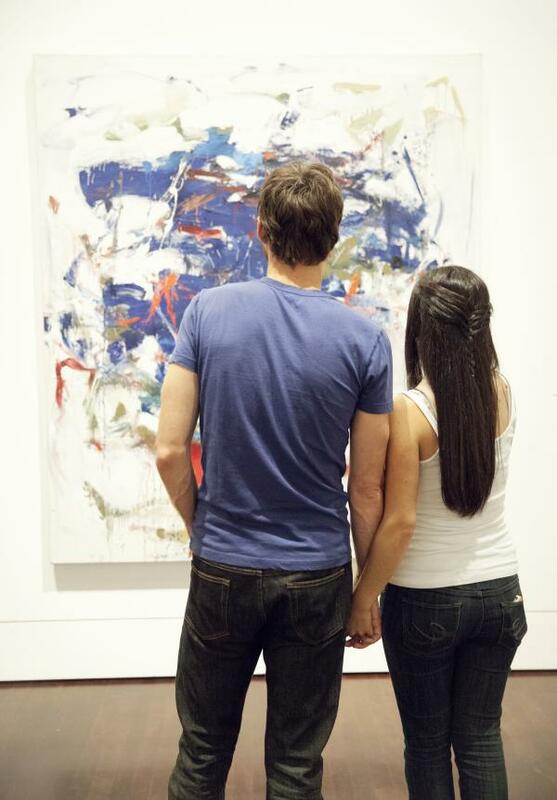 The Blanton Museum of Art: The Blanton is a must-see museum filled with more than 17,000 permanent works and fascinating exhibitions. Complete with a café, gift shop and numerous events, this facility is a favorite among visitors. Events include the Midday Music Series, art and activities every third Thursday, public tours and even yoga. Bullock Texas State History Museum: Have a history enthusiast in the family? The Bullock Texas State History Museum, located across the street from the University on MLK Boulevard, can satisfy any craving for a history buff. Museum highlights include an IMAX theatre, featured exhibitions and plenty of Texas history! Currently on exhibition, Rodeo! The Exhibition showcases the dynamic and exciting history of stock shows and rodeo in Texas. Harry Ransom Center: The HRC is a renowned research library and museum. This facility encourages the appreciation of creativity in writers and exhibits feature literature, photography, film and the performing arts. Current exhibitions include Ed Ruscha: Archaeology and Romance, which showcases the museums&apos;s extensive collection of art and papers from Edward Ruscha. Landmarks: This next one is a unique walking experience created by over 36 pieces of public art found around the University of Texas campus. The Landmarks tour is a perfect way to go on an outdoor scavenger hunt for some extraordinary pieces including sculptures, video and much more. LBJ&apos;s Limo on Display at the LBJ Library. Courtesy of Lauren Gerson. Lyndon Baines Johnson Library and Museum: The LBJ Presidential Library is a must-visit with 45 million documents, photos, objects and recordings from the former President’s political career. 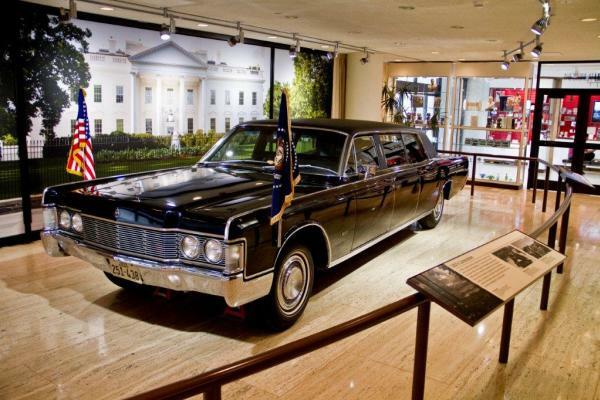 Permanent exhibitions include a replica of the Oval Office during President Johnson’s time in office, his Presidential Limousine and more. Texas Memorial Museum: The Texas Memorial Museum was Austin’s first science museum. Including dinosaurs, fossils and other science exhibits, this facility is an attraction the whole family can enjoy. Kids can interact with scientists as they prepare fossils in the working paleontology exhibit and be sure to see the Texas Pterosaur, with a wingspan of 40 feet. Visual Arts Center: Located in the Department of Art and Art History building on the University of Texas campus lies the Visual Arts Center. The VAC contains contemporary exhibitions including art from former students, guests and traveling exhibitions. Sam is one of the Convention Services Managers for Visit Austin. She is a Texas native and former film freelancer who came to Austin in 2011 on assignment, fell in love with Austin and now calls it home. While pursuing a marketing degree at Texas State University she worked as a concierge at a central Austin hotel, expanding her knowledge on all things Austin and queso. She enjoys East Sixth, eating Tex-Mex, checking out various live music venues and lounging around Barton Springs Pool. Connect on Twitter, Instagram or LinkedIn.